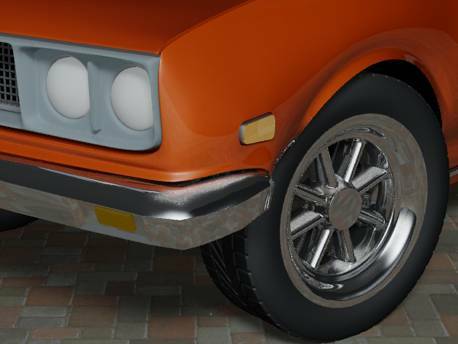 This tutorial is continued from Mental Ray Lights and Camera. Check it out for details on lights and camera setup. Scroll to the bottom for the other tutorials in this series. Applying and rendering Mental Ray Materials for 3ds Max is easy once you finish reading this tutorial. 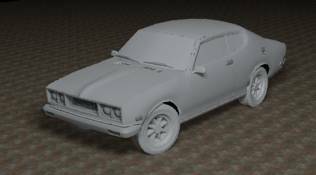 You will learn the fundamentals of Mental Ray and Standard Materials that you can apply on your models. 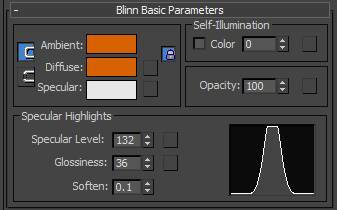 Remember, you have to tweak the light settings, how many lights, and position of lights in the scene. Also consider the type of model for the scene, and the types of materials in the 3ds Max material library you are using, and how it looks rendered in Mental Ray. So every model will need tweaking like this and a lot of renders to see how things look. 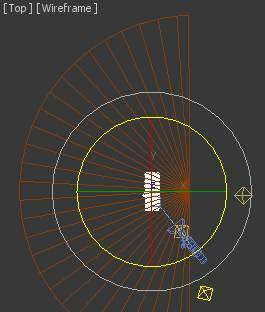 Use Draft settings when rendering in 3ds max to test how things are going to look. (High Precision Rendering can take a long time depending on your computer speed). In 3ds Max, change the renderer to Mental Ray. From the menu, go to Rendering / Render Setup. 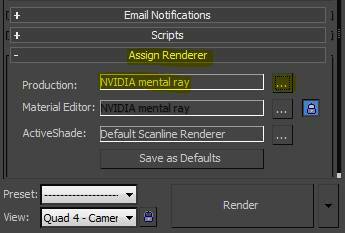 In the dialog box, go down to Assign Renderer, and change it to NVIDIA Mental Ray. For the rendering of this model, I built a simple enclosed environment with gray walls & ceiling, and a bitmap cobblestone texture for the floor. The light reflects well off the walls and ceiling, as well as the textured floor, which reflects off the side of the model when rendered. The environment has Standard materials for the walls, and ceiling. The floor has a texture applied to it. Take note that in Mental Ray, the lights reflect off all the environment inside the enclosure, and then bounce off the model to give shine and in the case of the bitmap material on the floor, the texture reflection shows on the side of the model when rendered. 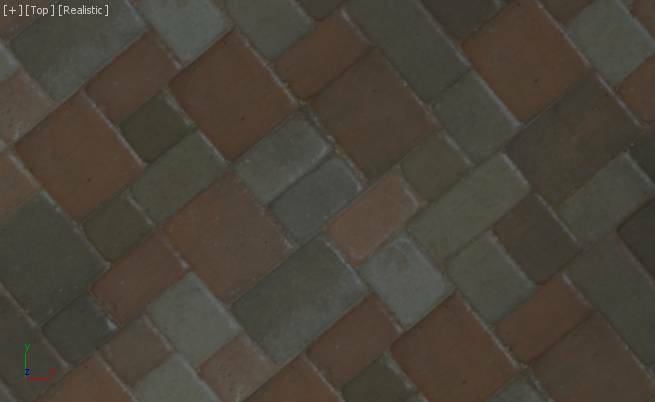 Below is a close up of bitmap texture for the floor. 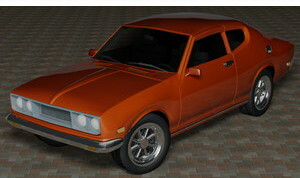 This is a draft rendering of the model in Mental Ray before materials applied and then after. In 3ds Max, you can apply materials to objects and their Elements. Some sub objects can be just one element while others will have multiple elements. The bumper is an example. Materials can be applied to Elements below the Editable Poly mode, such as the lights. 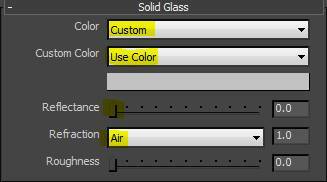 To apply materials, select the element, then “drag and drop” the materials onto that element or “group of selected elements”. 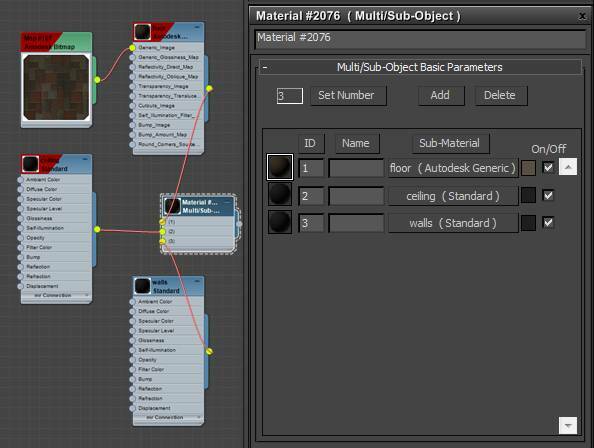 If you drag and drop a material onto the object that has separate Elements, that material will be applied to all elements. So be careful here when dealing with an object with separate elements. In this case, we need this setup because the bumper and lights are turbo-smoothed together. Note: Otherwise try and keep sub objects of your model to have only one material. The Material Editor is where we organize our materials in the slots provided. Here is what the slate material view looks like for the environment. It’s up to you to use Material slots or the newer slate system. 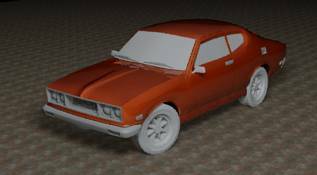 I use Standard and Mental Ray materials for this model. Let’s start with creating a simple Standard material. 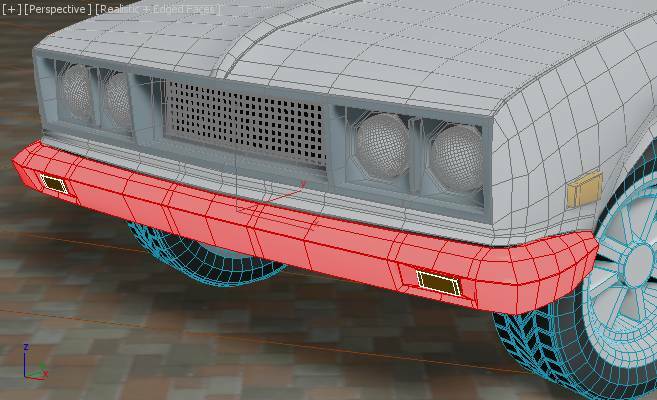 I use Standard materials for the tire, lights, front grill, wipers, etc, because these objects only need simple materials. Open the the Material Editor. 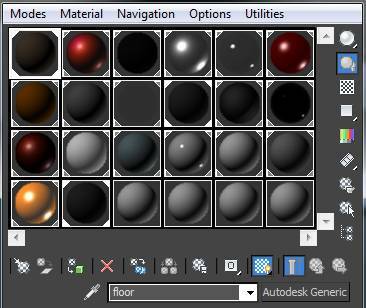 Select a empty slot (grey), and let us create an orange material for the turning lights. All I am going to do here is change the Diffuse to orange, and increase the Specular and Glossiness levels as shown below. Open the Material Editor. 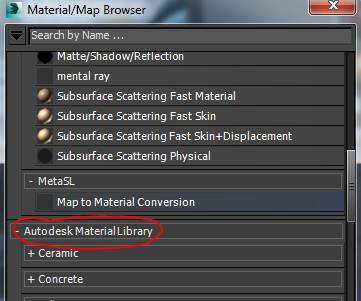 On an empty slot, click Standard, then in the Material Browser, scroll down to the Mental Ray rollout. Scroll down some more to see the Car Paint material. This is for the body of the model. 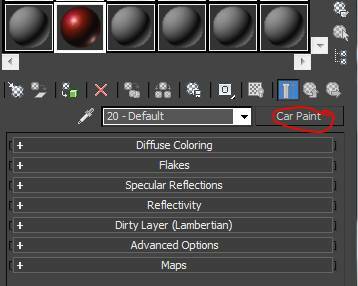 Click whatever material you want, and the material slot changes color, and you have a lot of settings to experiment with, but I usually only change one or two parameters, like with the car paint material below. In the Material Browser window, if you scroll down some more, you will see the Autodesk Material Library, which will also work in Mental Ray renders. 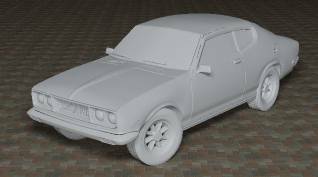 So you see you have a lot of choices for whatever material you need for your models. 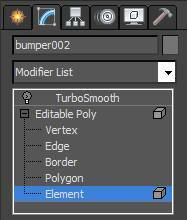 On your model, select the sub-object, and if it has Elements in it, select the Element sub-mode under Editable Poly. 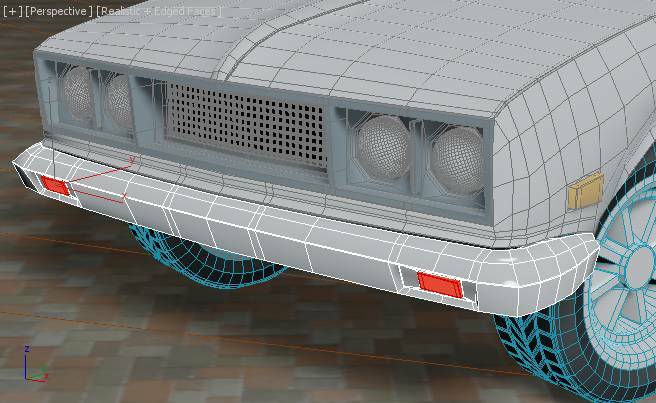 Now you just have to go to the material slot and “drag and drop” onto the sub-object or it’s Elements to apply the material. This is all done in a viewport. 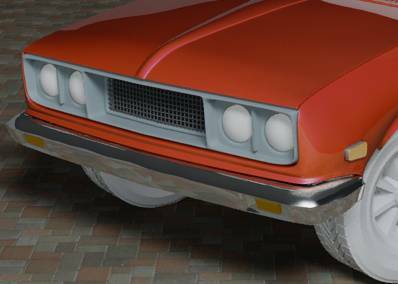 Note that Standard materials always show in the viewports, while Mental Ray materials are shown when you render an image of the model. Watch the video if you have any problems here. Below is the before and after applying and rendering with the paint material on the body (medium Precision settings). 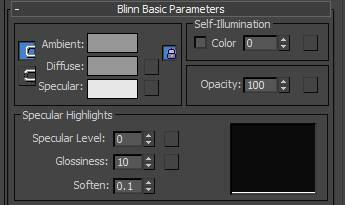 ***Remember that you have to experiment with light settings, different materials and their parameter settings until the rendered image of your model looks good. Ok let’s finish applying the materials for the front and back of the model. 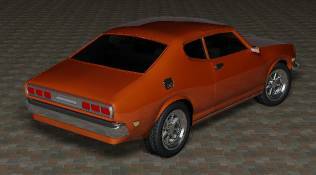 (After the materials are applied, the sub-objects are TurboSmoothed). The front lights have a plain Standard white material. 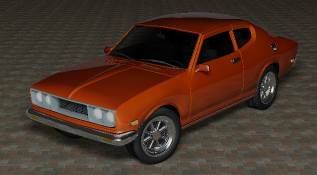 There is a Mental Ray plastic / vinyl for the front headlights grill and a Standard color black for the inner grill mesh. The bumper has an Autodesk Metal Chrome. The lights are Standard colors. Now for the windows. First, I colored the interior with a Standard black material. The windows used an Autodesk Solid Glass material with the settings below. This gives the illusion of dark tinted glass, with a bit of transparency as shown below. 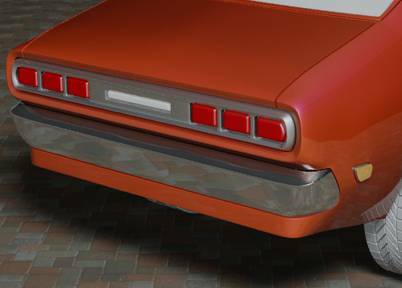 Apply an Autodesk Metal Chrome material to the door handle and gas lid, and put the same body material on the front of the side mirrors. Again with the wipers, Standard dark grey. All we have left are to apply materials to the tires and wheel hub. The tire uses the simple Standard Grey material, and the hub uses the Mental Ray Chrome material. 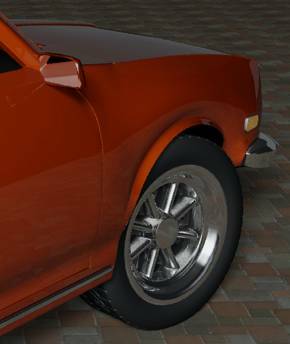 (Also there is a glass material for the door side mirror, and some chrome trimming). Before ending this 3ds Max tutorial I will talk a bit about Grouping objects / sub-objects. It’s useful to group or assemble sub-objects of a model, or the lights & cameras, to make things more manageable (less clutter). Select all the objects you want to group together then on the menu, go to Group / Group… or Group / Assembly / Assemble. Try one or the other. If you have dozens (or hundreds) of items in your scene, you have to group them at some point. 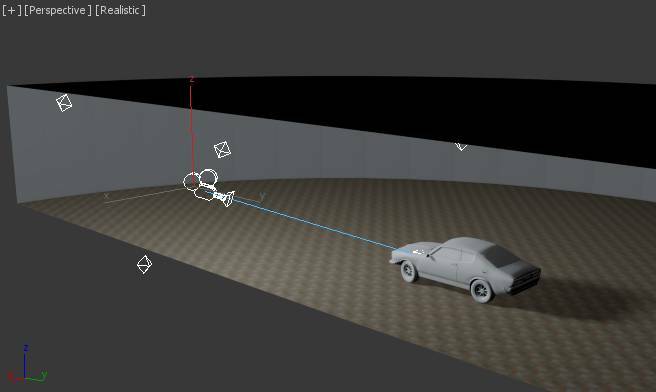 You can Ungroup a Group of items, or Open an assembly to get access to individual objects in the scene. 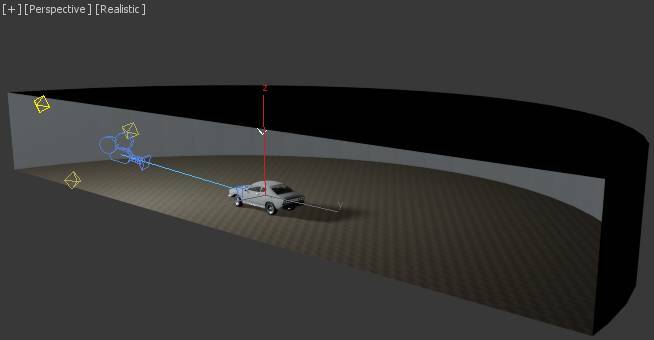 Below you see the 3ds max scene for rendering the model with Mental Ray. The environment has 3 items; floor, walls, and a ceiling. They are all in a Group, so if I have to move or hide them, they go together as one object. The camera and four lights are Grouped together. The Car is in an Assembly. So I can Open it to get access to all parts, then Close it, so I can move or rotate it as one object. On the tool bar, go to Select By Name . There is only 3 items listed. By not using Group or Assemble, I would have over 50 items. Too many to manage. With the Group closed, you can Rotate the model 180 degrees in the Top viewport. 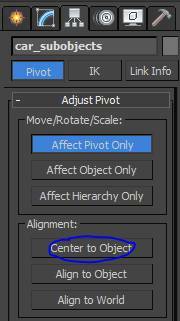 If you have a Camera view already setup, make sure you set the Pivot of your model to the center like you see below. 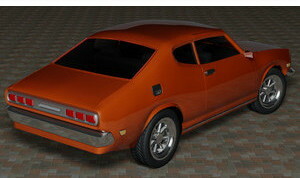 Then you can make a render for both front & rear views as you see below (in Draft resolution). The right picture has been rotated 180.